Marie Sklodowska Curie (1867-1934) was the first woman scientist to win worldwide acclaim and was, indeed, one of the great scientists of the twentieth century. 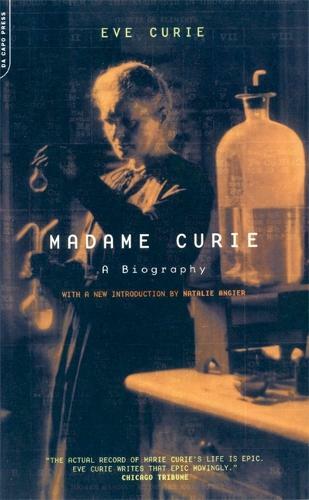 Written by Curie's daughter, the renowned international activist Eve Curie, this biography chronicles Curie's legendary achievements in science, including her pioneering efforts in the study of radioactivity and her two Nobel Prizes in Physics and Chemistry. It also spotlights her remarkable life, from her childhood in Poland, to her storybook Parisian marriage to fellow scientist Pierre Curie, to her tragic death from the very radium that brought her fame. Now updated with an eloquent, rousing introduction by best-selling author Natalie Angier, this timeless biography celebrates an astonishing mind and a extraordinary woman's life.